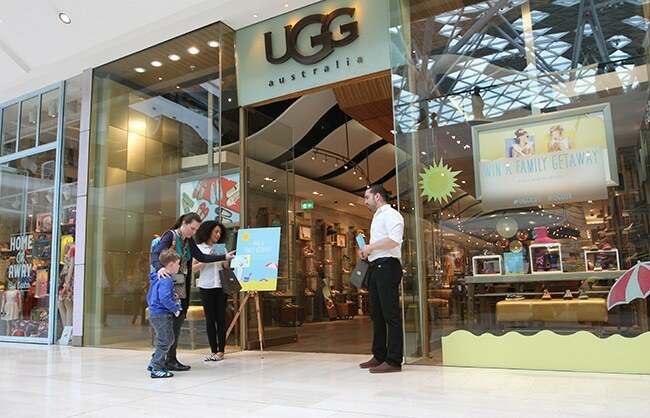 In the leadup to Summer 2014, UGG launched a new range of Kids Summer footwear. 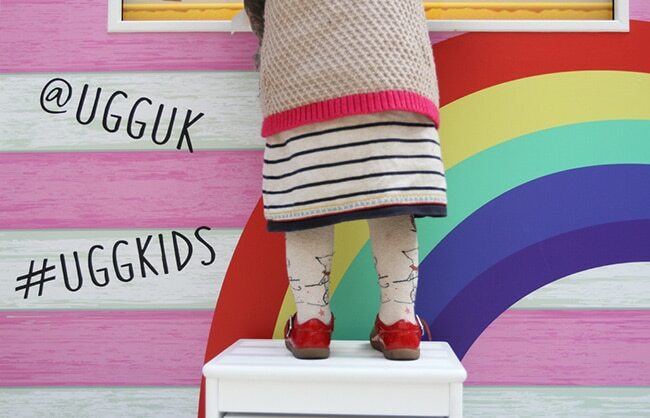 We were asked to create and execute a brand experience in close proximity to their Westfield London store. 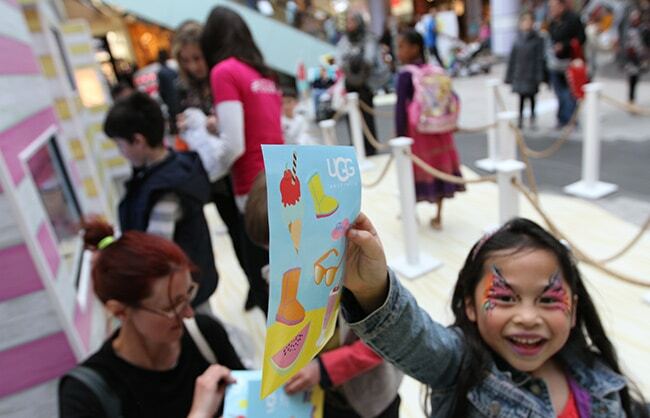 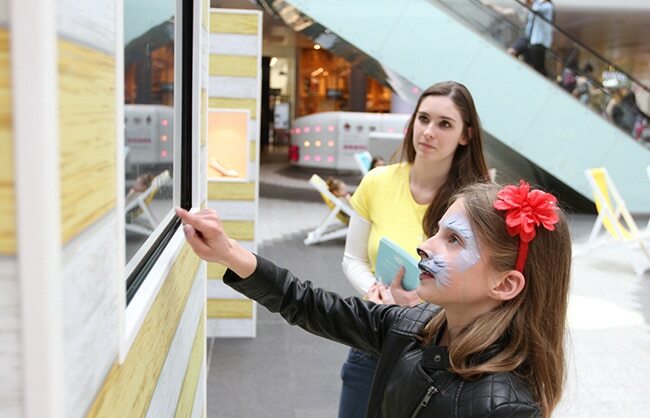 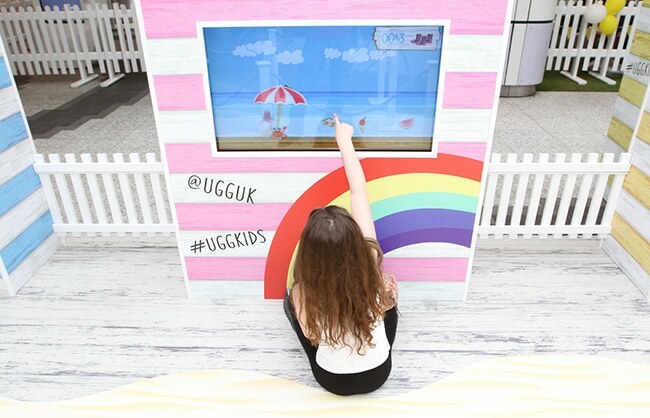 The main objectives were to create a fun brand experience which would relate to children and parents, generate awareness of the range, communicate that UGG isn’t just for winter, drive footfall into the nearby store and capture customer (adult’s) data for further marketing. 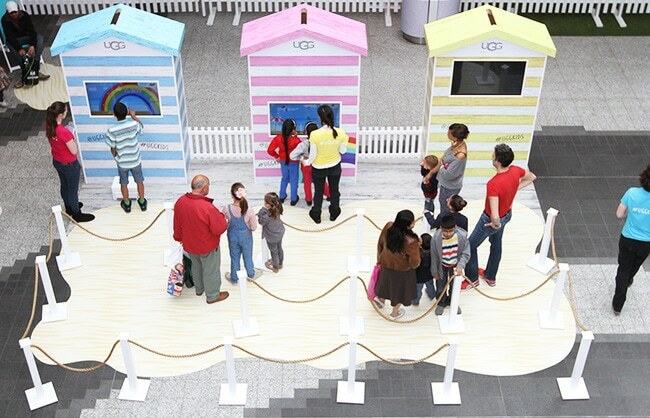 We created a ‘beach’ set with a series of colourful beach huts within which there would be a fun and engaging touch-screen game. 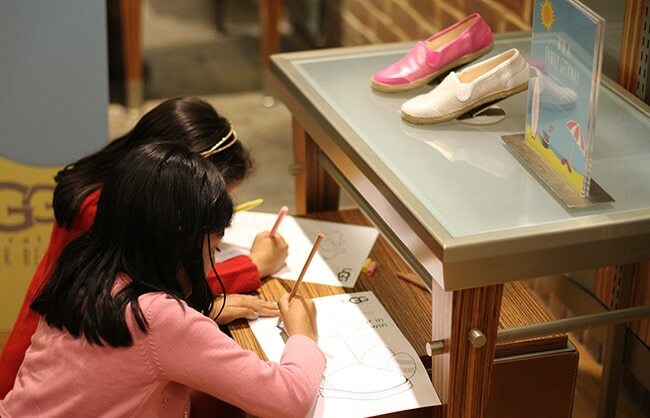 The game enabled the player to select their custom UGG shoe which became their character in the game. 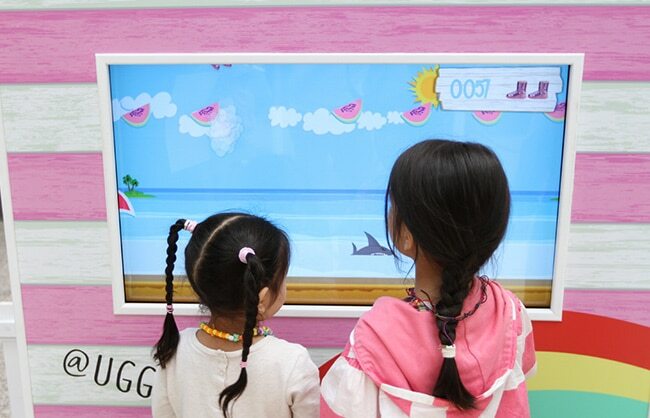 Players had to navigate the beach environment avoiding ‘baddies’ and collecting ‘goodies’. 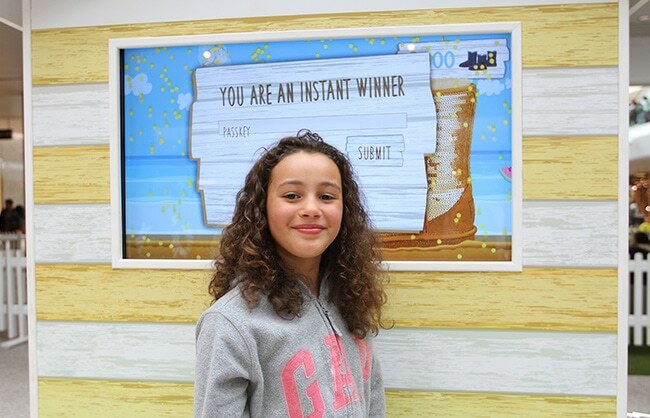 The software also issued random spot prizes of £120 UGG vouchers up to 3/day. 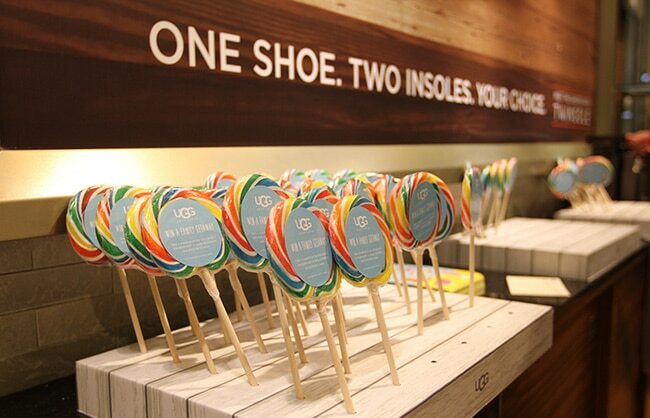 To further meet the objectives we displayed the shoes in beach themed product displays, handed out sticker books featuring the characters from within the game, captured parents’ email addresses and encouraged people to visit the UGG store where there was further activities and free lollipops for the kids. 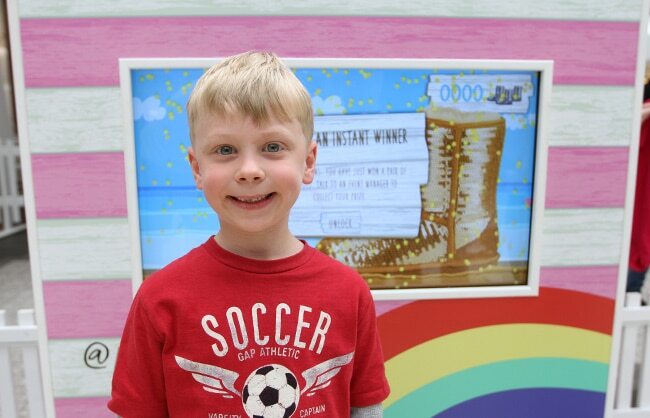 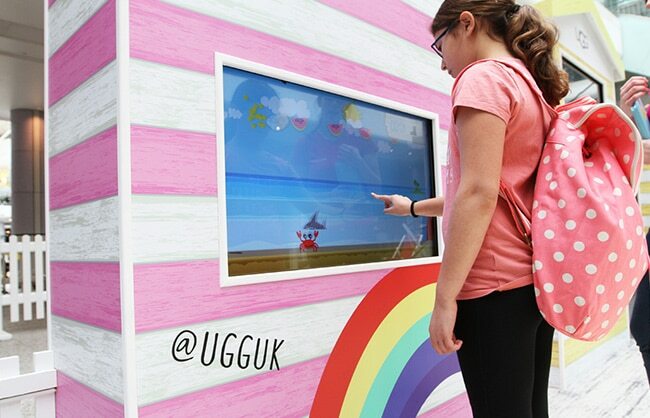 The UGG Kids Experience generated an average of 541 game plays & 184 emails per day and produced an increased footfall into the nearby UGG store by an average 30% per day.